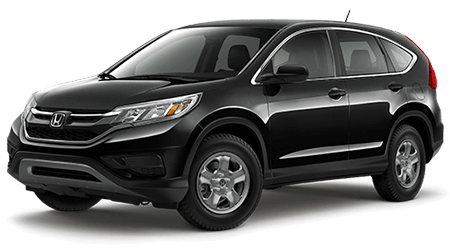 If you are looking for and SUV- something sporty, spacious, and surprisingly efficient - then you should set your sights on the 2016 Honda CR-V. This amazing compact SUV has been on America's roads for decades but it hasn't missed a beat. Now, the 2016 CR-V is ready to tackle the competition, and you can find it right here in Tampa, FL at Brandon Honda. Our Tampa Honda dealership has the new CR-V and the rest of the top-notch Honda lineup waiting for you, so why wait? Visit us today from anywhere in the greater Tampa area and find a CR-V that suits your driving needs and awakens your love for the open road. The 2016 Honda CR-V has a rival in the Mazda CX-5, but this newcomer just can't hold a candle to the many years of excellence the CR-V has given to drivers across the country. Sure, the 2016 Honda CR-V might be a compact SUV, but that doesn't mean it's short on interior space, especially in comparison to the Mazda CX-5. Inside the CR-V you will find a total of 104.1 cubic feet of total passenger space; the CX-5 only has 103.8 cubic feet for passengers. The Honda CR-V has more front leg room, and more front shoulder room than the Mazda CX-5 as well. In the cargo area of the 2016 Honda CR-V, you will get 37.2 cubic feet of cargo space behind the rear seats. The Mazda CX-5, by contrast, only offers 34.1 cubic feet of space behind its rear seats. If you need extra storage area, the CR-V's rear seat can fold away to open up 70.9 cubic feet of cargo space. The Mazda CX-5 falls behind again here, with just 64.8 cubic feet of total cargo space. Score one for the CR-V! Under the hood of the 2016 Honda CR-V is a 2.4-liter four-cylinder engine. 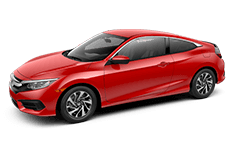 This efficient yet spirited powertrain is rated for 181 horsepower and 185 pound feet of torque. This engine is features across the board on the CR-V lineup and offers both peppy and efficient performance every day. 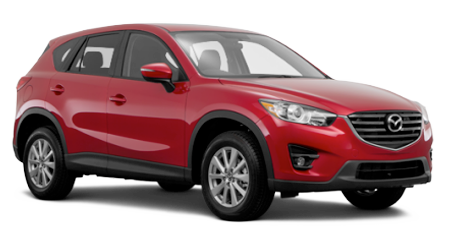 In the Mazda CX-5, the basic engine is a 2.0-liter four-cylinder rated for 150 horsepower and 155 pound-feet of torque. If you want more power out of the Mazda CX-5, you will have to move up to the more expensive trims. The 2016 Honda CR-V is a safety star and it got top marks in crash tests performed by the NHTSA. The agency gave the CR-V a five-star overall score as well as five-star scores in all other crash tests but the rollover test, in which the CR-V earned a four-star score. The Mazda CX-5, on the other hand, got only a four-star overall score; its rating fell due to its three-star score in the frontal barrier passenger-side rating and its two four-star scored in the overall frontal barrier crash and rollover crash tests. Families love the super-safe 2016 Honda CR-V, and you will too! Come to Brandon Honda today and discover the thrilling and versatile world of the 2016 Honda CR-V SUV. 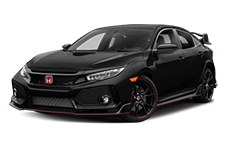 We have the new CR-V and the rest of the amazing Honda lineup in stock now at our Tampa Honda dealership.